The No. 13/14 Quinnipiac Bobcats once again out shot their opponent only to come up short again as they fell 5-2 to the Robert Morris Colonials in the championship game of the Three Rivers Classic. 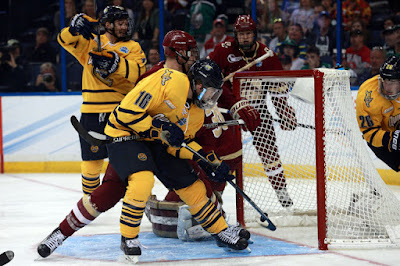 It is the second time that Quinnipiac has fell in a championship game at the PPG Paints Arena in Pittsburgh, the last being a 4-0 loss to rival Yale in the 2013 NCAA National Championship game. The story of the game was Quinnipiac's lack of finishing despite once again out shooting its opponent 45-28. The lack of high end finishers up front is becoming a concern as this season moves toward the second half. was saved by Chris Truehl. In the second the Colonials got on the board on a power play goal by Alex Tonge. The goal which was Tonge's 11th of the season came off of assists from Daniel Leaven and Brady Ferguson. Robert Morris's top line of Tonge, Leaven and Ferguson got the Colonials going and they never looked back. Late in the second period senior defenseman Robb Mann ripped a shot past Truehl to give the Colonials their first lead of the game. Alex Bontje and Daniel Mantenuto got credit for the assists on Mann's goal. Quinnipiac out shot the Colonials 17-12 in the middle frame but the Robert Morris looked to be the more dominant team from early in the second period to the end of the period. 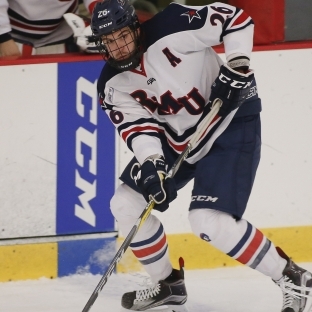 In the third period, Robert Morris continued to put continued pressure on the Bobcats. A little more than five minutes in the period Spencer Dorowicz scored what proved to be the game winning goal on assists from Brandon Watt and Luke Lynch. Three minutes later off a face off Timmy Moore blasted one past Truehl for the Colonials fourth goal of the game. Rob Mann and Robert Powers had the assists on Moore's goal. Robert Morris scored their fifth unanswered goal by way of the shorthanded variety and with it also being an empty net. Timmy Moore sent a rebound off Marotte down into the empty Quinnipiac net with under six minutes to play in the game. The Bobcats finally got on the board again late in the game on a power play goal by Thomas Aldworth with assists from Luke Shiplo and Tommy Schutt. It was Aldworth's first multi-point game of the season and they are going to need more of these types of games down the stretch as he has shown he has very good finishing ability but his play has not been consistent this season. Chris Truehl finished with 21 saves and was replaced by freshman Andrew Shortridge after the Colonials scored the empty net goal. Robert Morris's Francis Marotte took home the most valuable player of the tournament honors while Quinnipiac's Chase Priskie was named to the all tournament team. Quinnipiac falls to 11-8-2 with the loss and is now 18th in the pairwise rankings. The Bobcats return to ECAC play next weekend when they travel to face off against Harvard and Dartmouth. The No. 13/14 Quinnipiac Bobcats head to the Three Rivers Classic Championship to face Atlantic Hockey power Robert Morris tonight in Pittsburgh, Pennsylvania. The Colonials come into the championship game 10-6-3 on the season with impressive wins over Ohio State, Dartmouth and Ferris State. Head coach Derek Schooley has done a fantastic job leading the Colonials in his 13 seasons with the program as he has built a strong team in Atlantic Hockey that has won the regular season title the past two seasons. His 2013-2014 team won the tournament title and reached the NCAA title for the first time. This season he once again has them in the mix for the Atlantic Hockey regular season crown. Quinnipiac has not faced Robert Morris since the 2012-2013 season. All time the Bobcats are 10-5-1 all time against the Colonials. Offensively the Colonials are a solid team scoring 3.11 goals per game but they are very top heavy with the bulk of the offense coming up front from three players. Those three players are all averaging well over a point per game this season. Junior Brady Ferguson leads the Colonials in scoring with 33 points (14 goals and 19 assists) with eight of the goals coming by way of the power play. Senior Daniel Leavens 25 points (7 goals and 18 assists) while sophomore Alex Tonge 24 points (10 goals and 14 assists) with five of them on the power play. Junior Timmy Moore has 12 points (7 goals and 5 assists) with three of the goals coming off the power play. Some freshman to watch are Luke Lynch (9 points), Matthew Graham (6 points) and Daniel Mantenuto (5 points). The Colonials are a top five team in the country on the power play converting at 23.81% (25-of-105) so Quinnipiac will have to be very strong on the penalty kill and not take a ton of penalties to avoid facing a strong Robert Morris power play unit on the ice. The Colonials are within the top third in the country defensively giving up 2.58 goals per game. 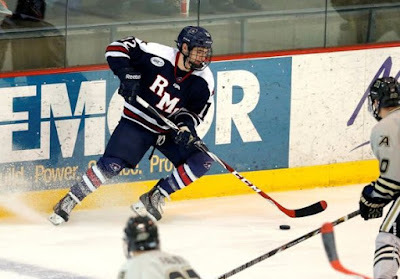 Led by captains Robb Mann and Alex Bontje, Robert Morris brings solid size on the back end with a good mixture of experience and youth. They have some good shot blocking defenders in Bontje and Mann along with sophomore Eric Israel who is also an offensive weapon with 17 points (5 goals and 12 assists) with three of the goals coming on the power play. Those three players have blocked over 30 shots apiece already this season. The Bobcats need to have effective passing in the offensive zone in order to prevent Robert Morris from setting up to block shots. This is a middle of the pack team on the penalty kill at an 83.8% clip. They don't bring a ton of offense outside of Israel but this is a solid group that has the ability to tighten things up in their own zone to make it tough on opponents. Quinnipiac needs to play fast and physical and dictate the game on their terms and not let Robert Morris have control of this game. In goal the Colonials turn to a freshman in Francis Marotte who is 8-3-2 with a 1.72 goals against average and a .946 save percentage. He also shutout Ferris State in the opening round of the the Three Rivers Classic. The Longueuil, Quebec native plays bigger than his 6 foot frame in net bringing solid athleticism in the crease. He has elevated his play from his previous three junior seasons which has been a big boost to the Robert Morris program. Junior Andrew Pikul will likely back up Marotte in the championship game. This is an important game for the Bobcats to keep the momentum going into the second half of the season. They are a team on the cusp of the top 16 of pairwise rankings and need to keep winning to climb higher. This should be a good match up between two solid teams looking to make a second half push. The No. 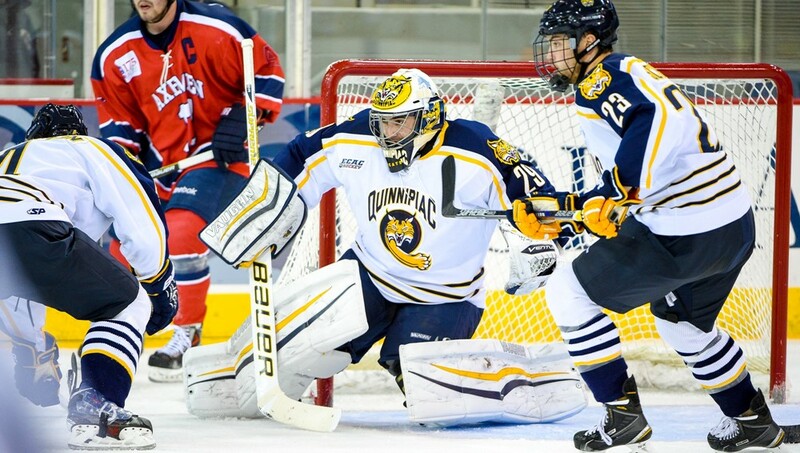 13/14 Quinnipiac University Bobcats started the second half of the season on the right foot defeating No. 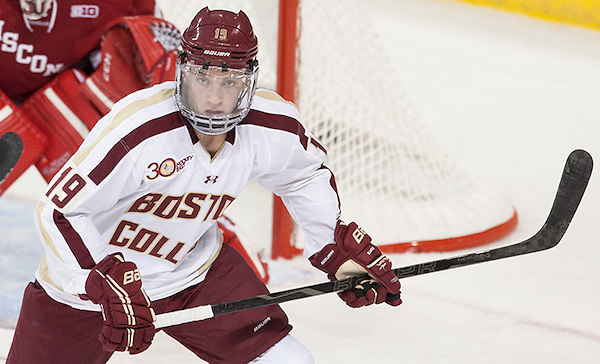 6/6 Boston College 3-1 in the opening game of the Three Rivers Classic in Pittsburgh, Pennsylvania. The Eagles came into the game severely depleted with five players away from the team to play in the 2017 World Junior Championships. Key players such as Colin White, Casey Fitzgerald and Joe Woll are playing for the United States national team while Jesper and Julius Mattila are playing for team Finland. Boston College was also missing senior forward Ryan Fitzgerald due to injury while Quinnipiac was missing freshman Karlis Cukste who is playing for team Latvia at the championships. After finishing the first half of the season with four losses in the their last five games, the Bobcats caught the Eagles at the right time with the amount of talent they were missing. This will likely end up being a quality win in the pairwise down the road for Quinnipiac if the Eagles can continue to win in Hockey East. 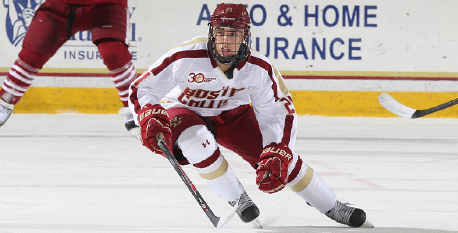 The teams went scoreless in the first period with the Bobcats out shooting Boston College 10-5 in the opening frame. At the 10:43 mark in second period the Bobcats opened the scoring with a goal from Tanner MacMaster who took the puck from the Eagles defenseman after blocking a shot by Kevin McKernan and put it past goaltender Ryan Edquist. MacMaster returned to the lineup after missing the previous three games with a lower body injury. McKernan and Bo Pieper got assists on the MacMaster goal which was his fifth of the season. The Eagles tied the game at the 19:25 mark of third period after the end of a Bobcat power play on a two on none breakaway with a goal from Graham McPhee his first of his college hockey career from Austin Cangelosi. Quinnipiac out shot the Eagles 13-7 in the middle period. In the third period the Bobcats took the lead for good on the power play when K.J. Tiefenwerth fed a pass to Craig Martin at the high left circle where he he wristed a high shot past Edquist for the goal. It was Martin's sixth of the season on assists from Tiefenwerth and Tim Clifton. The Bobcats got an insurance goal via the power play when Landon Smith fed a wide open Bo Pieper across the ice at the edge of the top left circle where he bombed a shot past Edquist. It was Pieper's seventh goal of the season on assists by Smith and Chase Priskie. The Bobcats out shot the Eagles 11-10 in the final period and 34-22 for the game. Goaltender Chris Truehl was strong making 21 saves including a penalty shot by Austin Cangelosi back in the first period. You cannot fault Truehl on the lone goal as it was a defensive breakdown by the Bobcats defense that led to it. Quinnipiac now faces Robert Morris in the championship game of the Three Rivers Classic after they defeated Ferris State 1-0. No. 13/14 Quinnipiac returns to the scene of the program's first ever Frozen Four when they head to Pittsburgh, PA to face No. 5/5 Boston College in the Three Rivers Classic. The last time the Bobcats played in Pittsburgh, they fell in the National Championship game 4-0 to rival Yale. It was a painful night for all Bobcats fans especially myself being in the arena losing to a team that Quinnipiac had beaten three previous times that season. The Bobcats are in the first year of a three year deal playing Boston College with each team having a home game over the next two seasons. 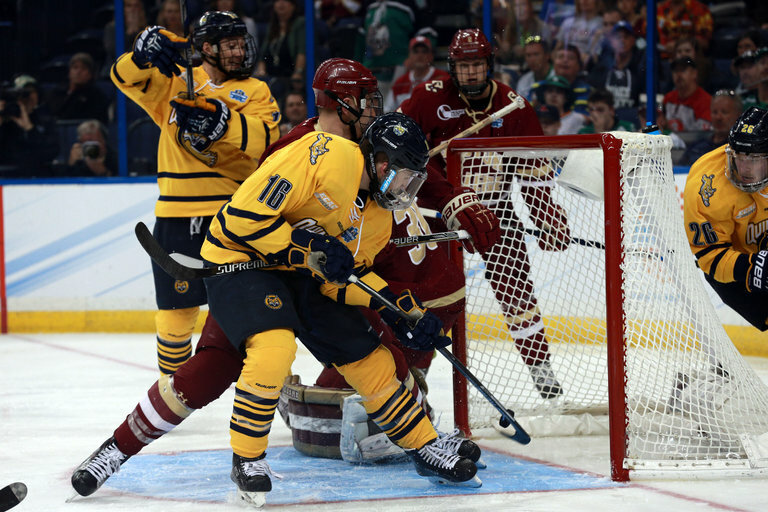 Quinnipiac matches up with the Eagles for only the second time in program history with the last meeting a 3-2 Bobcats win in the National Semifinals at the 2016 Frozen Four in Tampa, Florida. It was a monumental win for the Quinnipiac program beating a team with the prestige and history of Boston College. After the loss to the Bobcats, Boston College got cleaned out with many key players leaving early for professional contracts. With so many defections this was not expected to be one of legendary coach, Jerry York's best Boston College teams but he surprisingly has them atop the Hockey East standings halfway through the season. At 13-6-1 (8-1-1 Hockey East), the Eagles have positioned themselves well for another run to the NCAA's in the second half of the season. Quinnipiac is coming off a disappointing end to the first semester with four losses in it's last five games. The Bobcats may be catching the Eagles at the right time as they will be without presumably their top forward Colin White along with forward Julius Mattila, two of the their top six defenseman in Casey Fitzgerald and Jesper Mattila and starting goaltender Joe Woll. All four are playing in the U-20 World Junior Championships. Quinnipiac will be without freshman defenseman Karlis Cukste as he is also playing in the tournament for his home country of Latvia. Offensively this is one of the top teams in the country at scoring goals. This year they have averaged 3.65 goals per game which is good for 5th in the nation in scoring. It's a smaller faster team up front than past Eagles teams where they had a lot of size up front. The Eagles best scoring forward won't be with them in Colin White (10 goals and 7 assists) as he is with Team USA at the World Junior Championships but Boston College still has other scorers to worry about. Senior Matthew Gaudreau the younger brother of former Eagle and current Calgary Flame Johnny Gaudreau leads the team in scoring with 22 points (6 goals and 16 assists). Sophomore Christopher Brown (2014, 4th round, Buffalo) has 18 points for the Eagles (6 goals and 12 assists). 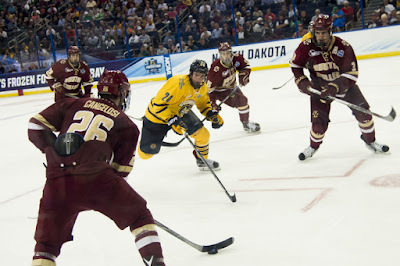 A pair of seniors have been big contributors as well in Ryan Fitzgerald (2013 4th round, Boston) with 16 points (5 goals and 11 assists) while Austin Cangelosi has 14 points (8 goals and 6 assists). Freshman David Cotton (2015 6th round, Carolina) brings size and scoring ability up front with his 6'3 frame. He has three power play goals to boat as well. A couple of other players to watch are sophomore JD Dudek 11 points (8 goals and 3 assists) and senior Chris Calnan (2012 3rd round, Chicago) 10 points (3 goals and 7 assists). Boston College is just outside the upper tier for power play as they are scoring at a clip of 17.89% (17-of-95). 7 of the 17 power play goals will be missing with White and Fitzgerald both not in the lineup so it will be a weakened Eagles power play which will be good for the Bobcats who are killing opponents chances at an 87% clip good for 7th in the country. If there was ever a time to face off against the Boston College defense this is that time. The Eagles are missing essentially their top defenseman in sophomore Casey Fitzgerald (2016 3rd round, Buffalo) who is playing for Team USA in the World Junior Championships. Fitzgerald is the leading scorer from the blue line with 13 points (5 goals and 8 assists) and also has blocked 17 shots. They are also missing freshman Jesper Mattila who will be playing for the Finland U-20 team at the World Championships. This leaves Jerry York with only five true defenseman on the the roster and will either force York to play a forward back on defense or double shift some of the defensive players. The Eagles have a very young, talented but inexperienced defensive corps this weekend with only one senior in Scott Savage but they have done very well this season in only giving up 2.45 goals per game. The rest of the defenseman are made up of one sophomore and three freshman. They are smaller players on the blue line that can move the puck well in transition. Savage has 13 points (3 goals and 10 assists) and has blocked 20 shots while freshman Connor Moore has blocked 32 shots on the season to go along with 9 assists. Sophomore Michael Kim has 12 points (1 goal and 11 assists) with 26 blocked shots. The Boston College penalty kill is middle of the pack in at 82.4% good for 37th in the country so this could be a way for Quinnipiac to find the back of the net especially since the Eagles are the 3rd worst team in the country at taking penalties with over 17 minutes per game. In net the Eagles will have freshman Ryan Edquist in lieu of starter Joe Woll who is with Team USA. Edquist has played in four games and started three of them and has a record of 3-0 with a 1.85 goals against average and a .915 save percentage. The 6'0, 170 pound goaltender by way of the state of Minnesota has played against Colorado College, UMass Amherst, Arizona State and late action against Harvard. He has not exactly been tested against true top teams so far this year but he is an athletic goaltender who can play bigger than his size in net. Quinnipiac needs to challenge him and pepper him with constant shots and traffic. Backing up Edquist is sophomore Ian Milosz who has not seen any game action this season. This is a very important game for Quinnipiac with regards to the pairwise as they face only two top pairwise teams in the second half with Harvard and Union still on the schedule. Winning this game also can give this team some confidence going to the full second half slate of the schedule. For Boston College this is a game they really don't have to have outside of the revenge factor from losing in the National Semifinals a year ago to Quinnipiac. This should be a well played game by both teams even with them both missing many key players. Former Quinnipiac University forward Matthew Peca (class of 2015) has been recalled by the Tampa Bay Lightning from the Syracuse Crunch of the AHL as it was announced by vice president and general manager Steve Yzerman. This is the first call up of Peca's career and the Lightning host the Montreal Canadiens tomorrow where Peca could make his NHL debut after being with the Lightning's AHL affiliate the past two plus seasons. Peca, of the best players in the history of the Quinnipiac program, was drafted by Tampa in the 7th round of the 2011 NHL Entry Draft. 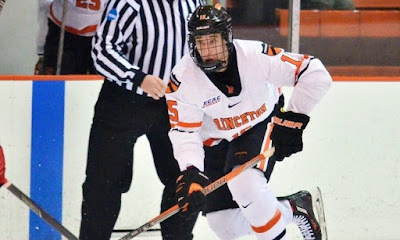 He scored 143 points for the Bobcats in his four seasons in Hamden and had one of the more memorable games as a sophomore when he scored a natural hat trick in the 2013 East Regional Final against Union College which helped lead the Bobcats to the programs first ever Frozen Four. The 23 year old Peca, has 17 points (5 goals and 12 assists) in 28 games played for Syracuse this season. Peca is fourth on the team with 12 assists and tied for fourth for points. He has been on a hot streak recently recording at least a point in seven of Syracuse's previous nine games, notching a goal and seven assists in that span. In 101 career AHL games he has records 14 goals and 64 points. 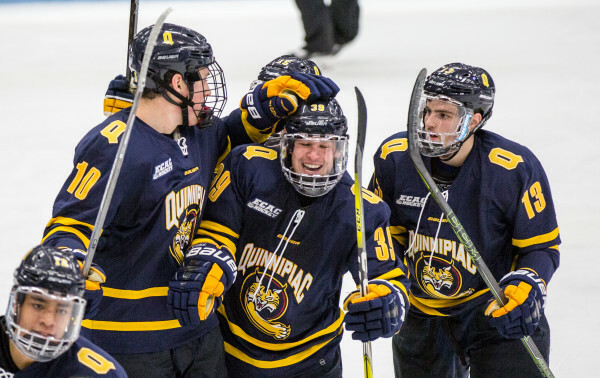 Quinnipiac ended the first semester by going 1-4-1 over its final six games capped with being swept in a home and home series against the Princeton Tigers to finish the first half with a record of 10-7-2. The Bobcats raced to a 9-3-1 start with a win over Harvard to boot before their late semester slump knocked them out of the top 15 of the NCAA Pairwise Rankings. There were ups and downs from all across the roster. It's time to grade the Bobcats on their first half performance as a team and on an individual basis. Over the first half the Bobcats average three goals per game but that number was much higher until the last six games of the season when they had four games by scoring two goals or less. The team lost a lot of fire power in the off season with the departures of Sam Anas, Travis St. Denis and Soren Jonzzon up front so it was expected there would be some drop off in offense from the Bobcats. Even with the expected drop off the team doesn't have one player in the top 80 in scoring in the country. I am not sure where Quinnipiac would be offensively if the older Clifton did not return. He has 15 points (10 goals and 5 assists) in 19 games played this season with three game winning goals and five power play goals. He is off his scoring pace from a season ago where he had 43 points (19 goals and 24 assists) and his shooting percentage is down 6% but his return has been enormous with his leadership up front for some of the younger players. He will likely be a priority NHL free agent at the end of the season. The sophomore forward has got off to a good start this season tripling his entire freshman year production in the first 19 games of the season. He is second on the team in points with 12 (5 goals and 7 assists) and has two game winning goals and two power play goals this year. He is playing on a line with Tim Clifton which has helped his production but he has been one of the sophomore's showing the most improvement this year. Pieper has surpassed his production from a season ago in only 19 games played. A year ago he had 9 points (5 goals and 4 assists) in 43 games and halfway through this season he already has 10 points (6 goals and 4 assists). His shooting percentage has doubled from a season ago and he sees time on the Bobcats power play units. He has been a solid contributor so far this year. This grade while listed under an offensive player is really a combination for Shiplo playing both offense and defense for the team. He only has 3 points on the season but he earned the B grade for his work on the power play along with playing a new position as a forward and along with being able to go back to defense when the team needed him with injuries and suspensions on the blue line. 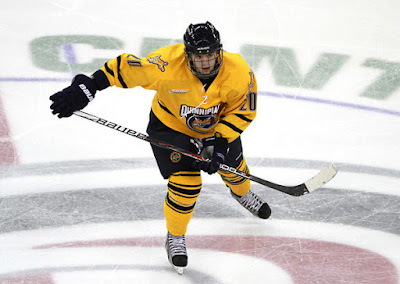 Tiefenwerth has been one of Quinnipiac's better forwards this year. He has 10 points (1 goal and 9 assists) in 19 games played and see time on the power play as well. He isn't flashy but has been solid in the last two seasons for the Bobcats. He is halfway to last years point total when he had 20 points on the season. Another solid performer has been Schutt, who is one of this teams hardest working players on the ice. He does a lot of quality work on the penalty kill and is a very solid defensive forward. He has chipped in with some more offense this season with 7 points (5 goals and 2 assists) in the first half of the season. Smith is off his scoring pace from a season ago he he had 37 points (12 goals and 25 assists) in 43 games games. He has 15 points (5 goals and 10 assists) but three of those goals came in the game against Dartmouth earlier this season. He is another player where his shooting percentage has dipped from a season ago. I expected a bit more production out of him especially with the departures of Anas and St. Denis. He finished the first semester with a goal and five assists in his last four games. It's been a tough season health wise for MacMaster as he has been in and out of the lineup twice with lower body injuries. He got off to a nice start with 5 points (3 goals and 2 assists) in his first 8 games. He got hurt in the Dartmouth game and missed the next 5 games returning against RPI before getting hurt again and missing the next 3 games. Due to the injuries he just hasn't been able to find consistency in terms of production. The hope is he can get healthy and increase his production in the second half. This grade is based more on what I have seen out of Whelan than what his point production has been.Whelan has been a good presence up front playing on a line with Tim Clifton and Craig Martin and while he has only two assists on the season he has shown to play physical and has a willingness to get dirty in the corners for loose pucks. He's worked hard to get first line minutes and eventually he will be rewarded for it on the stat sheet. I can see him having a good second half in terms of points. Taverner got off to a hot with 5 points (3 goals and 2 assists) in team's first 5 games. Two of those games were multi-point games. Since then in 14 games he has been pretty cold with only 3 assists. 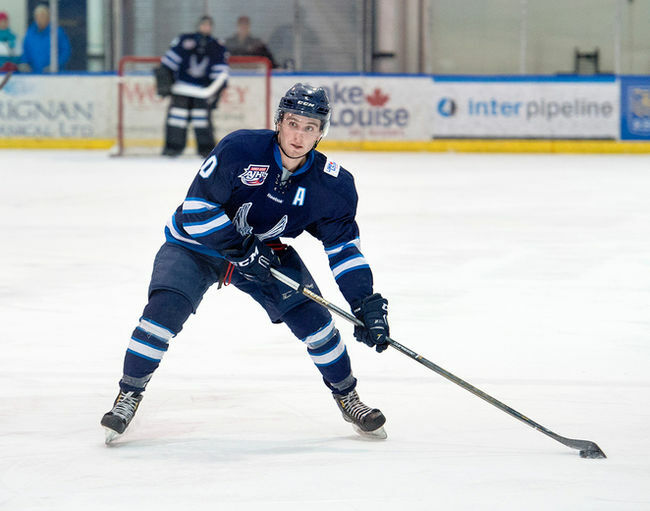 The expectation was that Taverner a solid scorer back in the AJHL would increase his production from his sophomore year when he had 15 points (6 goals and 9 assists). He is on a similar scoring pace as he was last year. The Bobcats need more out of Taverner in the second half if they are going to make a run in the ECAC. I really expected a breakout season by Davidson who had 15 points (9 goals and 6 assists) as a freshman. In only 18 games played this season he has only six assists with half of those assists coming in one game against Colgate. Last season he had a shot percentage of 16.7%. He was on a line with Tim Clifton and Craig Martin but now freshman Alex Whelan is playing with those two. They need to get Davidson going in the second half if this team is going to make a run to Lake Placid and make a run towards the NCAA tournament. Aldworth is another player that I thought would take the next step as a sophomore. As a freshman last year he got off to a fast start but cooled towards the end of the season. He finished the year with 13 points (6 goals and 7 assists) in 32 games played. It was expected that he would help pick up some of the offensive production with the departure of Anas and St. Denis and that has been far from the case. In 16 games played he has only 4 points (3 goals and 1 assist). There have been just too many times this season where you don't even notice him on the ice. This grade is based on the fact that Duane missed 10 games due to a lower body injury in the middle part of the first semester. If I was giving him a grade on his last four games only, I'd grade him a B+ as he was very good causing traffic in front of the net and he close out the first half with 4 points (3 goals and 1 assist). This is the way they need Duane to play all the time out there on the ice. The freshman has played in 9 games this year making his season debut on November 4th against Clarkson. He has not recorded a point on the stat sheet but did have the lone goal in the shoot-out win against Saint Lawrence in the Friendship Four tournament. 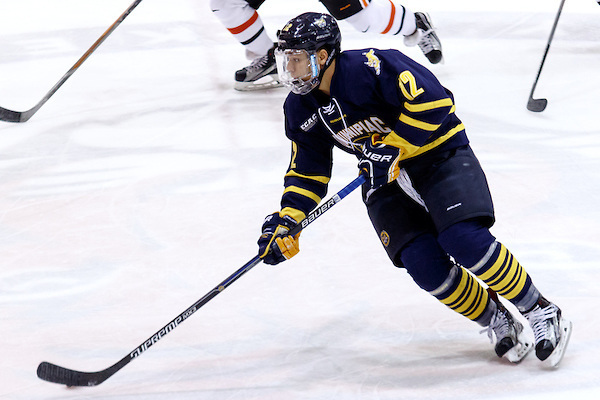 Jermain was accelerated a season early to Quinnipiac due to the early departure of Sam Anas. He has skill but is not fully developed yet and would have developed from another season in junior hockey. 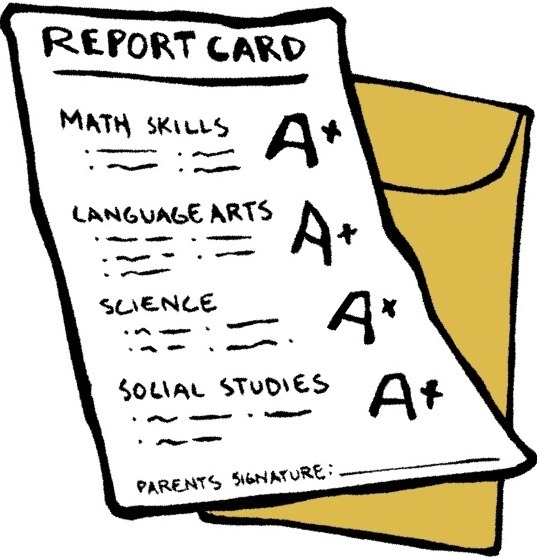 Mick played in two games in the first semester recording zero points. He was ejected in the Boston University game for a hitting from behind penalty and was suspended for an additional game. He is 5th on the team in penalty minutes despite playing in only two games. Fiala has played in one game this season at forward against UMass Amherst on October 25th. He did not record a point that night. He has played in 10 games over the last three seasons but is a player that can play both forward and defense as well. Expected to be one of the teams strength's entering the season, the Bobcats defense has been up and down at times this season. Down the stretch in the first semester they really struggled in their last five games surrendering 20 goals. That affected this grade from being either a B+ or A-. This season the Bobcats have had five games this season where they have surrendered more four goals or more per game. What we saw the four of the last five games in the first half cannot happen again in the second half or this team can book some tee times for some early golf in the north in late March instead of playing in the NCAA tournament. Rafferty is tied for the team lead in scoring which is impressive for a freshman but especially someone that plays on the blue line. He has not been perfect defensively as I have seen games where he has had some turnovers but he has been a pleasant surprise and really hard working fun player to watch who is starting to attract attention from NHL scouts. Cukste is another freshman who has been very good on the blue line this season. 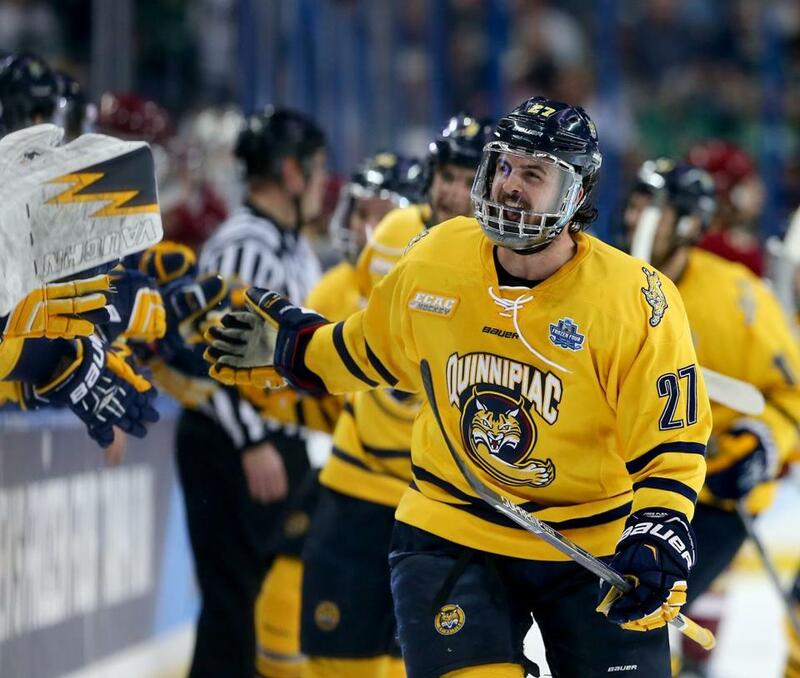 The San Jose Sharks draft pick was a late pickup for Quinnipiac who has played well defensively for the Bobcats this season. A bigger defenseman than what Rand Pecknold usually brings in, Cukste has been a power play threat and plays on the penalty kill as well giving the defense a lot of versatility in many situations. Already with 9 points in 19 games he also is the team leader with 39 blocked shots. He will be apart of the Latvian team for the Under-20 World Junior Championships in Canada at the end of the month. The junior defenseman has been a steady and solid presence on the Bobcats blue line this season. His offensive production has increased in each of his three seasons. He is already on pace to eclipse his 2015-2016 point production early in the second semester. McKernan is not a flashy player on the blue line but he rarely makes mistakes and that is all you from a someone who is more of a defensive defenseman. He's tied for fifth on the team with 17 blocked shot. The talented sophomore has had a little bit of a drop off from his breakout freshman season when posted 26 points (4 goals and 22 assists) with a plus 16. Due to an upper body injury he missed two games in the first semester. He's been solid defensively and is still a weapon on the power play with 10 of 11 points coming via the man advantage. After only have two penalty minutes the entire 2015-2016 season, Priskie has 14 already in the first semester of this season. If the Bobcats can get more of the Priskie we saw from a year ago in the second half that should bode well for the defense. After having a career junior season with 28 points (7 goals and 21 assists) and a career low of 42 penalty minutes and being a plus 20, Clifton has taken a bit of step back this season. At times he has struggled defensively. He has already amassed 50 penalty minutes included with two major penalties and a one game suspension from the ECAC stemming from a hit in the Vermont game. He has five points (2 goals and 3 assists) in 18 games played and is a minus eight from the blue line. He is second on the team in blocked shots with 34. He brings leadership in the locker room as the captain of the team. If he can have a big second half that would bode real well for Quinnipiac's chances. The senior co-captain got off to a bit of a slow start defensively but has picked it up in the later stages of the first half. He is third on the team in blocked shots with 21 and while not a flashy player from the blue line he is as steady as they come. His statistics don't stand out but he brings more than just that with leadership, penalty killing ability along with the ability to play on the power play. His presence was missed in the Friendship Four tournament especially in the Vermont game when the team didn't play well defensively. It was a position that brought a lot of question marks at the start of the season especially with the loss of Michael Garteig one of the best goaltenders in program history lost to graduation. No matter who took the job, those shoes were going to be tough to fill given what Garteig meant to this program in the last three years he was the team's starter. Truehl has been solid in goal for the Bobcats this season. The Air Force transfer is 8-5-2 with a 2.40 goals against average and a .910 save percentage. Those are solid numbers for him in his first season with the Bobcats. He has had trouble with rebound control which has hurt the Bobcats at times. Truehl has made some flashy saves but isn't a goaltender that can absolutely win a you a game when you need it the most. If the Bobcats are going to have plans for late March and into April, Truehl needs to get better with his rebound control and start stealing some games for the Bobcats. Shortidge had really one poor start against Vermont in the final of the Friendship Four tournament when he surrendered five goals in the loss. However his defense did not give him any help that day. He has played in seven games with four of them being starts and he has a 2-2 record. His save percentage is under .900 but it skewed due to his one poor start against Vermont. He was very good in a loss on the road against a very talented Boston University squad. His last two games he relieved Chris Truehl in blowout losses. It remains to be seen if Shortridge will see increased action in the second semester if Truehl continues to struggle. Lawrence did not see any regular game action in the first semester and just recently news came out that he was transferring to Division III Colby College for the second semester. 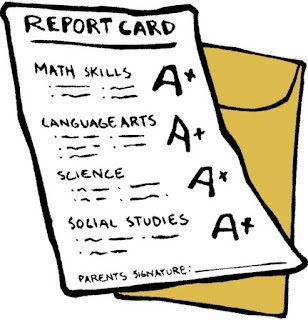 Finishing the first semester with four losses in the last five games contributed to this grade especially when surrendering 20 goals in those games which is very unlike Quinnipiac hockey. One of the early season struggles was the coaching staff trying to find the right pieces for the power play. They seemed to get that fixed to a degree by the end of the semester. Pecknold and the coaching staff need to get more out of these players in the second half if they are going to make a run to the ECAC crown in Lake Placid. 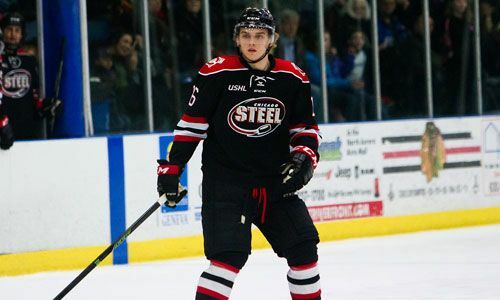 The coaching staff didn't bring in the best recruiting class in this season and they were very lucky to land Kārlis Čukste so late due to the San Jose Sharks making a call to the Quinnipiac staff. The team was already playing with a short deck of cards to begin with as the team only carried 25 players compared to the usual 28. That number now dropped with the loss of Sean Lawrence transferring. The team also didn't prepare for the loss of Sam Anas very well either as he graduated a year ahead of schedule. The lack of depth and high end talent up front is sorely lacking on this team and could come back to bite them in the second half of the year. With the first semester break in full swing, the coaching staff is making preparations and adjustments for the second half of the season and to possibly look for a third goaltender for the second semester with the sudden transfer of Sean Lawrence who did not see any regular season game action this season. With that said let's move to this weeks recruiting notes. The recruiting notes will not run next week as major junior hockey leagues have the week off for the Christmas holiday. It was another solid week for 1996 forward Matt Forchuk of the Canmore Eagles (AJHL). He had a goal and three assists in three games played. His 51 points (16 goals and 35 assists) currently lead the AJHL in scoring. He is two points ahead of his teammate Logan Ferguson for the scoring lead. 24 of Forchuk's 51 points have come way of the power play making him a possible future weapon for the Bobcats power play. 1997 forward Matt Creamer who is playing for the Nanaimo Clippers (BCHL) had a very good weekend scoring a goal in three different games. At 21 points (13 goals and 8 assists) in 36 games, Creamer has almost tripled his production of a season ago when he had 8 points (6 goals and 2 assists) in 47 games played. 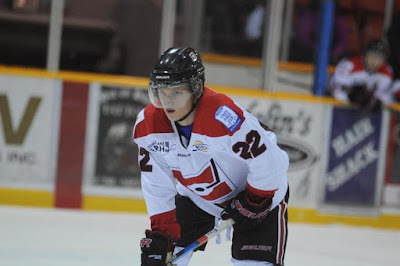 Merritt Centennials (BCHL) 1998 defenseman Zach Metsa had a two point week in three games played. He had an assist last Tuesday and scored his second goal of the season on Saturday. In 35 games played on the season, Metsa has 19 points (2 goals and 17 assists). A disciplined player from the blue line, Metsa has the fewest penalty minutes of any regular player that has played 25 games or more with only four penalty minutes on the year. 1999 goaltender Justin Robbins made his USHL debut on Friday with the Chicago Steel. He saved 24 of 27 shots but took the loss for Chicago. He was called up as goaltender Aleš Stezka is playing for the Czech Republic in the Under-20 World Junior Championships at the end of the month. Robbins returned to the North Jersey Avalanche this weekend where he posted a 17 save shutout over the Colorado Thunderbirds. In 13 Tier I games this season, Robbins has been dominant going 11-1 with a 1.82 goals against average and a .933 save percentage along with three shutouts. The Bobcats other 1999 goaltender commit, Keith Petruzzelli had his second rough game in his last five starts. He gave up five goals in a loss to the Chicago Steel. Petruzzelli on the season is 9-6 with a 2.65 goals against average and a .909 save percentage with one shutout. He was recently named as one of the goaltenders for the USHL prospects game. 1998 forward Khristian Acosta had a goal this weekend for the Wilkes-Barre/Scranton Knights. He is the Knights leading scorer with 23 points (8 goals and 15 assists) yet has only played in 22 of the 32 games for the Wilkes-Barre/Scranton this season. 1999 forward Matt Fawcett (Winchendon School) has got off to a solid start this season. In 6 games played he has 7 points (3 goals and 4 assists) but two of the games have yet to record the box score so the numbers could be higher. 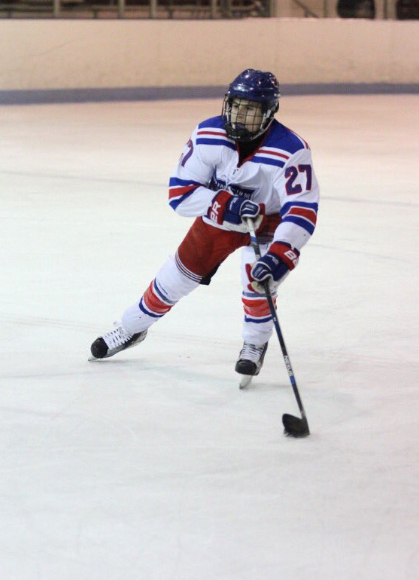 2002 forward Jacob Quillan has been a point per game player in the month of December. He had another three point weekend with two goals and an assist for the Steele Subaru Major Midgets. In 23 games this season he has 17 points (6 goals and 11 assists) but has really come on since the start of November. Not a bad last two months for the youngest player on the Steele Subaru roster who is only going to continue to get better in time. The No. 7/8 Quinnipiac Bobcats ended the first half of season with a sour taste in their mouth after falling 4-1 loss to Princeton this afternoon at High Point Solutions Arena. Its the first time since the 2008-2009 season that the Bobcats have been swept in the season series by Princeton. It was an embarrassing weekend of play by Quinnipiac to get a swept by team that won a combined 15 games the past three seasons. Once again the Bobcats out shot their opponent and came away without any points. Its been the theme of the team the past few weeks to out shoot the opponent and lose. Princeton got on the board early in the first when Max Veronneau scored unassisted at the 3:20 mark of the first period. After Tim Clifton took a charging penalty on a big hit, the Tigers made it 2-0 on a power play goal by Ryan Kuffner from Josh Teves and Veronneau. Quinnipiac out shot the Tiger 13-11 in the opening frame. Quinnipiac head coach Rand Pecknold made the switch in goaltenders in the second period going to freshman Andrew Shortridge in lieu of starter Chris Truehl. The Bobcats cut the Tigers lead in half 24 seconds into the period when Kevin Duane scored on a breakaway for his third goal in as many games. Landon Smith and Bo Pieper got the assists. Duane became the first Bobcat to score goals in three consecutive games since Scott Davidson did it in March of last season. Quinnipiac and Princeton traded one power play opportunity each for the period. The Bobcats out shot Princeton 15-9 in the second frame. In the third, Princeton got their two goal lead back early in the period Max Becker put one past Shortridge. Jackson Cressey got the assist on the Becker goal. Quinnipiac had two power play opportunities in the middle of the period and could not capitalize. Max Veronneau sealed the win with an empty net goal with less than two minutes to play. Quinnipiac now heads into the break on a down note having lost four of their last five games including three consecutive ECAC conference games. The offense has been invisible the last six games averaging 1.8 goals per game while the defense usually a strength of the Bobcats has been pathetic giving up 3.3 goals per game with many of these goals on lazy turnovers. You have to wonder if the loss of associate coach Reid Cashman who I believe was the de facto defensive coordinator is catching up to this team. Rand Pecknold and his staff now have 19 days to correct what has gone wrong in the last six games of the first half before they take on Boston College in the Three Rivers Classic in Pittsburgh on December 29th. No. 7/8 Quinnipiac lost consecutive ECAC games for the first time since February of 2014 as they fell 5-3 on Friday night to Princeton at Hobey Baker Rink. The Bobcats battled back from three separate one goal deficits but could not rally for a fourth time. Once again the Bobcats out shot their opponent and came away without the victory. Its the third game in the last four that has happened for Quinnipiac who fall to 10-6-2 (6-3-1 ECAC). The Bobcats surprise lack of effort allowed Princeton to win for the fourth time in five games and move to 4-7-1 (2-6-1 ECAC). The loss also was damaging for Quinnipiac in the pairwise rankings as they fell to 17th. Princeton opened the scoring 5:03 into the first period on a Ryan Kuffner goal off a rebound. The Bobcats evened the score a little more than three minutes later when Kevin Duane scored on the power with assists from Kevin McKernan and Landon Smith. Quinnipiac out shot Princeton 13-10 in the opening frame. The Tigers retook the lead a little more than five minutes into the second period on a power play goal from Jackson Cressey. Almost four minutes later Landon Smith scored on a two on one chance from a Kevin McKernan pass to even the score at two apiece. Late in the second, the Tigers took the lead again on a goal from Alex Riche. Quinnipiac out shot the Tigers in the period 8-7. Exactly two minutes into the third period Thomas Aldworth scored his first goal in almost two months when his shot deflected in off a Princeton defender. Kārlis Čukste and Tommy Schutt assisted on Aldworth's goal. 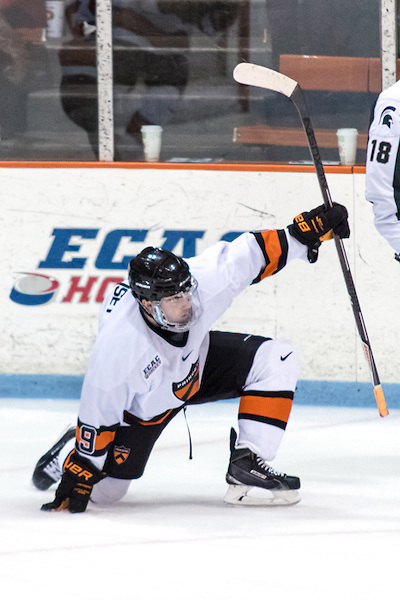 Princeton would take the lead in the later stages of the game when Matt Nelson scored an unassisted goal at the 15:55 mark of third. Quinnipiac got a late power play opportunity and pulled the goaltender for a six on four chance but could not cash in. 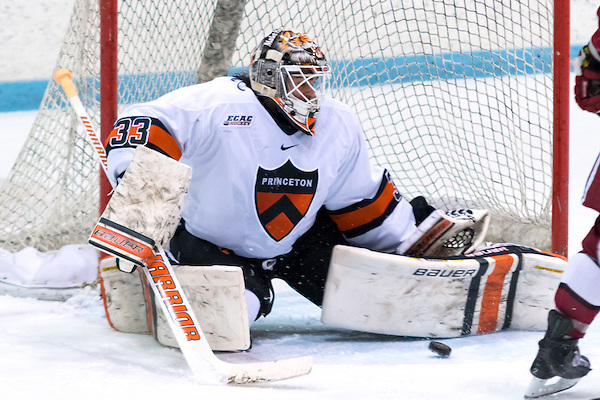 The Tigers Eric Robinson added an empty net goal to seal the win for Princeton. The Bobcats out shot the Tigers 15-12 in the third period and 36-29 for the game. It was Princeton's first win against Quinnipiac since November 23, 2013 when they won 4-3 in Hamden. The Tigers played with more effort tonight than Quinnipiac and earned the win. The Princeton defense blocked 19 shots compared to only 9 for Quinnipiac. Senior goaltender Colton Phinney was strong for the Tigers with 33 saves on the night. Chris Truel had 24 saves in the loss and now has back to back games where he has given up four goals in a game. With the quick turnaround for Saturday's game in the afternoon its very possible Rand Pecknold turns to Andrew Shortridge to see if the Bobcats can get a better performance in goal than they got the past two games as they can ill afford to be swept this season by Princeton. The No. 7/8 Quinnipiac Bobcats play a home and home series with their ECAC travel partner this weekend, the Princeton Tigers. The Tigers come into this weekend with a 3-7-1 record (1-6-1 ECAC) but have won three of their last four games. Two of those wins came on the road against Bemidji State then ranked 10th in the country and in the top three of the pairwise rankings. They had wins of 4-1 and 3-1 against Bemidji that turned some heads in the college hockey world. Last week they had an impressive come from behind win against RPI winning 6-5 in overtime after trailing 4-1. Princeton out shot RPI 30-3 in the third period and overtime to come away with the victory. Its been a tough first two seasons at Princeton for head coach Ron Fogarty who was left a bare cupboard from his predecessor Bob Prier. Fogarty won a combined nine games his first two seasons and already has the Tigers with three wins in the first half of the season and they seem to be playing better after a rough start to the season. For as good as a program Quinnipiac has had in the last 15 years it is a surprising 14-9-1 all time against the Tigers. However, the Bobcats are 8-3-1 all-time at Hobey Baker Rink including a 5-0-1 in its last six games there. Four of Quinnipiac's last six wins against Princeton have come by way of a shutout. What is the most shocking stat, is that the Bobcats own a 6-6-0 record against the Tigers at home which includes a 6-4-0 record at High Point Solutions Arena. The Princeton offense is averaging 2.64 goals per game for the season but they have averaged four goals per game over their last four contests. The Tigers lack elite play makers up front limiting what they can do offensively. What they lack in elite skill they make up in hard work and effort for coach Fogarty hence two wins on the road against a quality opponent and a come from behind win against RPI. They are led in scoring by two players with 12 points in David Hallisey (5 goals and 7 assists) and Max Véronneau (4 goals and 8 assists). Sophomore Ryan Kuffner 10 points (5 goals and 5 assists) and Eric Robinson 8 points (5 goals and 3 assists) are other players to watch in this game. While they haven't been a top offense all season they have been pretty effective as a power play team at 19th in country scoring at a 19.64% (11-of-56) clip. All of Véronneau's goals have been power plays goals while Hallisey and Robinson have two each on the power play. One other forward of note is freshman Jeremy Germain who grew up in Hamden and is the grandson of long time men's ice hockey coach Jim Armstrong. Quinnipiac will have to do a good job of staying out of the box as this is an area where Princeton could hurt them. Defensively, Princeton has struggled all season giving up 3.91 goals per game which is good for 55th in country. However they do kill penalties at a solid 84.1% (37-of-44) clip and they average 15 blocked shots per game so that is something they can hang their hat on. They bring good size on the blue line with eight of the nine defenseman six feet or taller. Four of the six starting blue liners are upperclassmen so they bring some experience back there. On paper Quinnipiac matches up very well against this defense as they have much more talent up front than the Tigers can contain. The Bobcats need to play fast and physical against the Tigers defense to force them into mistakes they might not normally would make. In goal the Tigers play senior Colton Phinney who has a lot of experience playing against the Bobcats. He has started all six games that Princeton has played against Quinnipiac the last three seasons and it would be a surprise if anyone but Phinney played in these games. Phinney is 1-5 all time against Quinnipiac but the one win came back in the 2013-14 season at High Point Solutions Arena when Princeton rallied for a 4-3 win. In ten games played this season, Phinney is 2-7-1 with a 3.93 goals against average and an .877 save percentage. The numbers don't look spectacular but he played very well in one of the wins against Bemidji State. Phinney isn't a big goaltender but is athletic enough in net. He hasn't been a goaltender that can win you a game but he does enough to keep his team in games. Overall, Quinnipiac matches up extremely well against Princeton as they have the more talented offense, defense and are better in goal as well. Anything less than a four point weekend would be a massive disappointment for this team and the goals they have set for this season. Princeton will play hard so this is not a team to overlook as they have played Quinnipiac very competitively over the past few seasons even if the results have not been there. 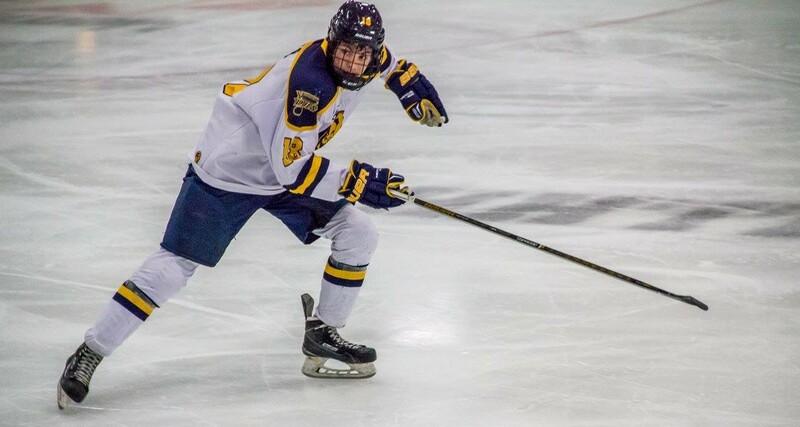 According to Chip Malafronte of the New Haven Register, Quinnipiac freshman defenseman Karlis Cukste will be on the Latvian roster for the Under-20 2017 IIHF World Junior Championships that are set to take place at the end of December and into January. The tournament will be held in Toronto and Montreal. Latvia has a very difficult bracket as they have to face Canada, Russia, Slovakia and the United States. Cukste, a 2015 5th round draft pick by the San Jose Sharks, has four goals and four assists in 17 games played this season for the Bobcats and has been a key player for them both on the power play and penalty kill. He will miss two games in Three Rivers Classic with one of them a key matchup against Boston College. It's possible he will also miss games against Harvard and Dartmouth on January 6th and 7th as the tournament ends January 5th. It was frustrating home weekend slate of games for the Quinnipiac Bobcats as they out shot RPI and Union combined 105 to 32 yet only came away with two ECAC points on the weekend. After winning 4-1 Friday night against RPI, the Bobcats were stymied against Union in a 5-2 loss on Saturday. Now lets move on to this weeks Quinnipiac recruiting notes. 1998 defenseman Zach Metsa scored his first goal of the season for the Merritt Centennials but he did so in dramatic fashion, with an overtime winner to beat the Victoria Grizzlies 3-2 on Saturday night. Metsa has 17 points (1 goal and 16 assists) in 30 games played with many of his assists coming on the power play. Metsa will be NHL draft eligible for the first time in 2017. 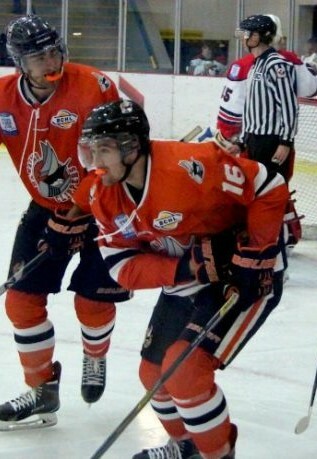 1997 forward Matt Creamer had a goal and assist in two games for the Nanaimo Clippers this weekend. This season he has nine goals and seven assists in 30 games played. That surpasses his production from a season ago when he had only six goals and two assists in 47 games played. Creamer is expected to join the Bobcats in the fall of 2017. 1997 Odeen Tufto ended his four game scoreless streak with an assist in a 6-2 loss for Fargo against the Sioux Falls Stampede. Tufto has 11 points (3 goals and 8 assists) in 21 games played for the Force this season. Tufto will join the Bobcats in the fall of 2017. It was a rebound performance for 1999 goaltender Keith Petruzzelli after he gave up 8 goals in a game to Team USA. On Friday he gave up two goals in a loss to the Lincoln Stars as he made 28 saves. Five out of the last six games for Petruzzelli have been very good outside of the game against Team USA. 1997 Ryan Finnegan returned for his first game in almost a month for the New Jersey Hitmen Premier team due to an undisclosed injury. He had an assist in his return in a 6-1 win over the P.A.L Junior Islanders Premier Team. He has ten points (3 goals and 7 assists) in 6 games this year for the Hitmen after being traded to them from Alberni Valley of the BCHL. 1998 forward John DeRoche had three assists in Friday's 5-2 win for the Topeka RoadRunners. In seven games played he has four goals and four assists. Since his trade from the USHL to the NAHL he is at a 1.14 point per game clip and his confidence is rising. A couple of teammates committed to Quinnipiac had a pair of games this weekend. 2001 forward Ethan Phillips played in one of the two games this weekend an had an assist. In 30 games played he has 40 points (17 goals and 23 assists). Fellow commit, 2001 forward P.J. Fletcher missed the weekend for the South Kent with an undisclosed injury. On the season he 31 points (13 goals and 18 assists) in 32 games played. Another set of teammates both committed to Quinnipiac played multiple games this weekend. 1999 forward Corey Clifton had a goal and four assists in four games for the North Jersey Avalanche 18U playing in their Tier I hockey schedule. Clifton is averaging a point per game (4 goals and 15 assists) in 19 Tier I games this year. 1999 goaltender Justin Robbins had 21 saves in a 2-1 victory against the Boston Advantage on Saturday while he had 26 saves in a 3-1 win against the New Hampshire Monarch's on Sunday. Robbins has been really good in Tier I play so far this year. In 12 games played he is 10-1 with a 1.99 goals against average and a .929 save percentage. 2001 defenseman Dom Fensore is averaging 1.3 points per game from the blue line for the P.A.L Junior Islanders 16U team. He had another goal this weekend in a 5-3 win over the CP Dynamo 16U team. Fensore has three multi point games in his last five for the Islanders. Two of his six goals have come shorthanded and he also has a power play goal. 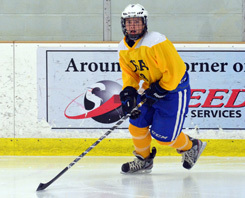 2001 defenseman Nicholas Kent had two assists this weekend for the Delta Hockey Academy Elite 15's. On the season he has 13 assists in 16 games played. The California native has yet to find the back of the net as a season ago with the Delta Bantam team he had seven goals from the blue line. 2002 forward Jacob Quillan is heating up for the Steele Subaru Major Midget team. This weekend he had a goal and an assist in two wins for the team. He has points in six of his last eight games with two of those game multi point games. In 19 games played this season he has three goals and nine assists. The No. 5/7 Quinnipiac Bobcats put up 54 shots on Union, yet still came away empty handed without two ECAC points in a 5-2 loss on Saturday night at High Point Solutions Arena. It was a frustrating night who struggled to find the back of the net as they out shot their opponent for the fifth straight game. During that span of five games, the Bobcats are only 2-2-1 despite massive shot differentials in four of those five contests. The Bobcats in the last four games have 183 shots on goal yet only seven goals to show for that shot total. The lack of a high end finisher is likely to hurt this team this season. In the past the team has had the likes of Sam Anas, Travis St. Denis, Matthew Peca, Connor and Kellen and Brandon Wong to as guys that could put the puck in the net when the team really needed a goal. The Dutchmen came into the game 9-3-2 but had yet to beat anyone of consequence outside of an opening win on the road at Michigan. They turned some heads last night in the ECAC with their win over the Bobcats where they now are a serious challenge to Quinnipiac, Saint Lawrence, Harvard and Clarkson as a team that can definitely win this conference. Quinnipiac got on the board first on the power play when Kevin Duane redirected a Connor Clifton shot past Union goaltender Alex Sakellaropoulos at the 16:44 of the period. Derek Smith also got an assist on the goal. The Bobcats out shot Union 19 to 4 in that opening period. Union tied the score 4:25 into the second period on a power play goal by Nick DeSimone on assists from Ryan Walker and Ryan Scarfo. A little under eight minutes later Union found the back of the net yet again on the power play when Jeff Taylor made it 2-1 on his goal from Spencer Foo and Mike Vecchione. Almost five minutes later it was Nick DeSimone again with the goal from Spencer Foo and Matt Krug to give the Dutchmen a 3-1 lead heading into the third period. Union scored three goals on that period on five shots while the Bobcats had another 14 shots on goal that period. Union once again got on the scoreboard at the 6:15 mark of the third period with a Cole Maier goal from Ryan Walker. Rand Pecknold pulled Chris Truehl (8 saves) in favor of Andrew Shortridge after the fourth goal from Union. Quinnipiac got on the board once more when freshman Karlis Cukste's one timer off a pass from Andrew Taverner found the back of the net. Alex Whelan also got an assist on Cukste's goal. Union captain Mike Vecchione sealed the win with an empty net goal. Alex Sakellaropoulos finished the night with 52 saves and was clearly the star on the ice for the Dutchmen. This is Quinnipiac's first home ECAC loss since December of 2014 when they lost to Harvard. You have to give Union a lot of credit for finishing the limited opportunities they had and for Sakellaropoulos coming up big for the Dutchmen all night. With the loss the Bobcats fall back into a second place tie with Union only one point behind Saint Lawrence for the ECAC lead. The loss also dropped Quinnipiac from 9th to 15th in the pairwise rankings. The No. 5/7 Quinnipiac Bobcats exploded for three third period power play goals on Friday night en route to a 4-1 win over RPI at High Point Solutions Arena. The win upped the Bobcats record to 10-4-2 (6-1-1 in ECAC play). With the win and coupled with a Saint Lawrence 4-2 loss to Harvard, Quinnipiac now moves into first place in the ECAC with 13 points with Saint Lawrence a point behind in second followed by Clarkson and Union in third place. The game was chippy on both sides with RPI being called for 14 minor penalties and Quinnipiac 12. The officials didn't really have control of this game and at times RPI took some cheap shots especially with the knee on knee trip of Quinnipiac's Karlis Cukste. The Bobcats got the scoring started 4:27 into the first period when Brogan Rafferty fed Tanner MacMaster for a backhanded goal on Cam Hackett that came off a two on one opportunity. Landon Smith got a secondary assist on MacMaster's goal who returned to action after missing the previous five games with a lower body injury. MacMaster would depart later in the game due to another lower body injury. Quinnipiac dominated the first period with 13 shots compared to 6 for RPI. The teams went scoreless in a second period that saw the teams combine for nine penalties. Quinnipiac pounded another 13 shots on Cam Hackett who was really strong for RPI in this game. The Engineers finished the second period with 4 shots on goal. Quinnipiac goaltender Chris Truehl didn't see much action in the first two periods of this game making only ten saves. In the third, RPI got on the board 4:22 into the period when defenseman Jared Wilson scored his team leading eighth goal of the season when he took a pass off the face off and blasted it past Truehl for the goal. Almost thirty seconds later the Bobcats almost retook the lead but Hackett came up big, robbing Landon Smith of a goal. The Bobcats took the lead for good at the 7:47 mark of the third when Tim Clifton put home a wrister past Hackett on the power play. Chase Priskie and K.J. Tiefenwerth got the assists. Less than three minutes later it was Bo Pieper cleaning up a Kevin Duane shot off the post to score on the power play giving the Bobcats a 3-1 lead. A little more than two minutes later the Bobcats capped the scoring once again on the power play when Luke Shiplo cleaned up a Cam Hackett rebound in front for a wide open goal. Landon Smith picked up his third assist of the game (He also assisted on the Bo Pieper goal) and Bo Pieper also had an assist on the Shiplo goal. The Bobcats completely dominated the shot total in the third with 25-5. They finished the game out shooting the Engineers 51-15. Chris Truehl had 14 saves for his 8th win of the season and rarely had to break a sweat tonight. Quinnipiac was the dominant team throughout this game and the only reason this was a 4-1 game was Cam Hackett and the Bobcats hitting at least five posts on the night. The Bobcats return to action tomorrow night to face the Union Dutchmen fresh off a 7-3 win against Princeton tonight.